Meet Top Award International Dating Coach and Author Renée Piane while you browse beautiful fashions and accessories in Santa Monica. Connect with some great people while you Mix, Sip and Shop gorgeous top designer clothing. 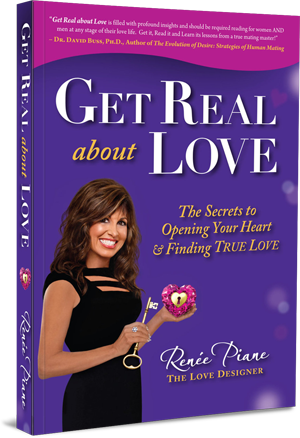 Renée will be sharing inspirational stories and wisdom from her life-changing book, GET REAL about LOVE~The Secrets to Opening Your Heart & Finding True Love. Renee will answer your Love questions and offer some Love Reinvention Tips. or The Mystic Journey Book Store in Venice. I am planning many cool book signing events and Love classes coming up. If you have a group that might want me to join you for a book club or event let me know. A great Holiday gift to give friends or a family member that needs heart healing love advice and support after a bad breakup, divorce or new to the dating game!